If there’s one important thing I’ve learned after going on several business (and family) trips in my young adulthood, particularly the ones overseas, it’s the following: there are some devices that I really just needed during our trip. Of course, there are items that are more obvious that you already have with you, such as your laptop, tablet, and anything remotely related to working while on the road. But you knew that already. What I’m talking about are those items that I’ve learned have truly made these trips more enjoyable experiences, for both leisure and business. This includes having an additional charger to ensure that everyone’s phones are fully charged along with a device that tracks the movement of your luggage. Those two and several others—some of which I found on this list by Travel and Leisure—are must-haves for convenience, overall use, and a few other perks that I’ll get to shortly. Here are five essential mobile gadgets and accessories for your next trip. iBolt has a whole slew of mobile device holders for your traveling needs. This accessory is definitely a must-have if you find yourself dropping your phone while trying to follow the directions displayed on your phone. The iBolt products doesn’t allow that to happen as it holds your device on the dashboard so you can, you know, focus on the task at hand. We all know the scenario: The passenger in your business trip has a phone that’s died and the other one’s battery is on its last legs, creeping toward death as you try to figure out exactly where you’re going on the Google Maps app. And then, just before you think you’re about to reach your destination, the phone meets its demise and you’re both left guessing where to go next. Well, obviously you can avoid this by simply remembering (or buying) a car charger, but play it safe and get a dual output charger. That means both of your phones will get the juice they need. When you’re traveling by plane, there are few greater things you can get than peace of mind. That’s particularly true when it comes to your luggage, because we’ve all had at least one bad experience that we’d love to never go through again. 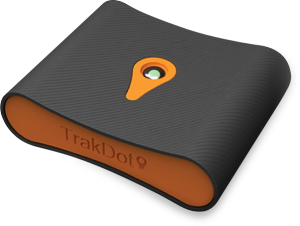 Now, I’m not saying that this Trakdot device/app will avoid anything bad from happening, but it will allow you to know exactly what’s up with your bags. Basically, it sends you a text and/or email to let you know when your luggage has landed, which is hopefully at the same time that you, too, have reached your destination. If not, at least you know where it’s headed, right? OK, so this one’s more for the people out there who can’t stand taking even a moment away from their exercise regimen. If you fall into that category, chances are you could already own some kind of activity tracker—or have an app to handle it for you on your phone. 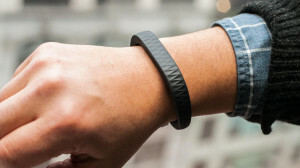 But if you don’t, there are a number of wristband-like devices, like Jawbone’s Up, that can give you up-to-date information on your movement (be it passive or active) and your sleep cycle. The latter element is especially useful for people on business trips who are struggling with jet-lag or simply getting comfortable in a hotel bed. 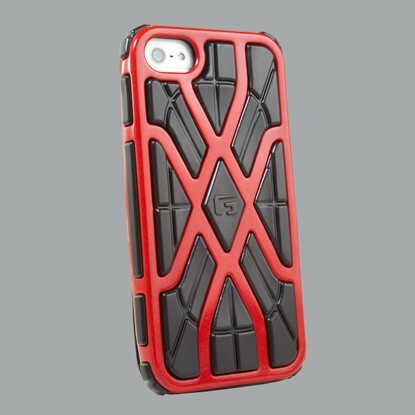 Chances are you already have a case for your iPhone—and that’s great. But apparently the G-Form Xtreme is so strong that it’s survived a fall from space. OK, so that probably won’t happen on your trip, but you will end up dropping your phone in some precarious places depending on your destination. And to make sure that it doesn’t fall to pieces, or even get a slight crack, this Xtreme case appears to do the job and then some. Amanda Cole is a newcomer to online journalism with an interest in technology and how it can be commonly applied to improve our lives. She lives in New York with a yellow lab, Jack.